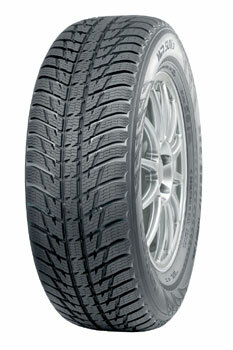 All-Weather tire with a directional tread design to handle the most extreme conditions. Low Rolling Resistance tire made with canola oil tread compound. The tread pattern features heavy siping, and a winter silica compound tailored for high-powered SUVs to ensure an exceptionally stable driving feel and relentless grip even at high speeds. The unique tread pattern design and polished transverse grooves help prevent dangerous slush planing and aquaplaning. The deep transverse grooves, a strong, arrow-shaped directional tread pattern, and the polished main grooves effectively remove water and slush, thereby preventing dangerous aquaplaning and slush planing. New Snow Claws take grip on snow and ice to a new level; were shaped on the longitudinal and diagonal grooves of the tread blocks to provide much-needed grip on winter roads. They grip the surface relentlessly on soft snow and in soft terrain. Heavy siping on the tread blocks provides grip reserves for a rainy day. The WR G3 SUV responds quickly to steering and is easy to handle on bare and wet roads, but it is also reliable in quick turns and sudden lane changes on an icy road.